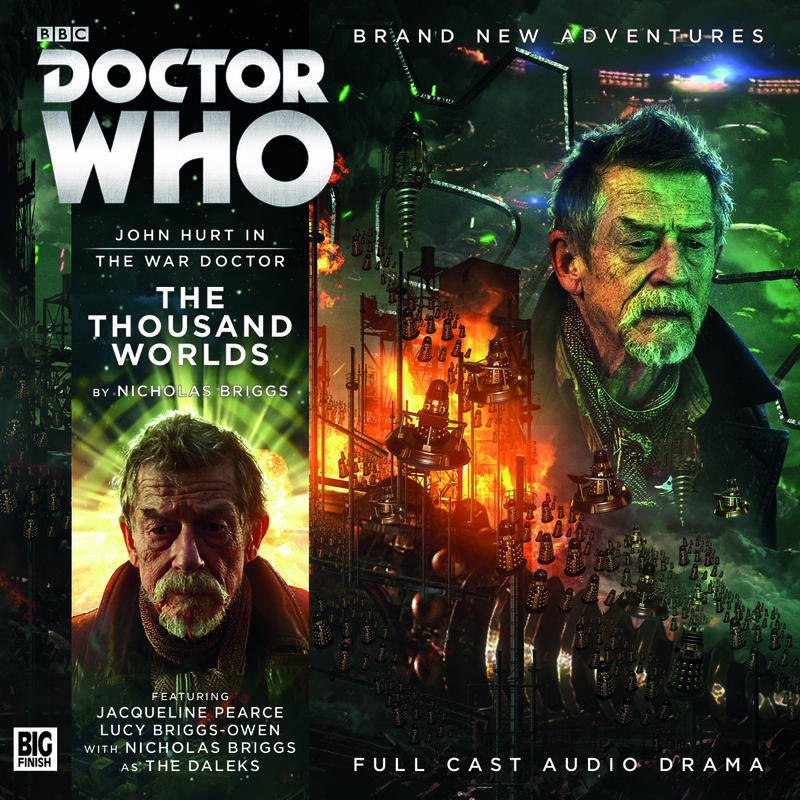 John Hurt returns as the crotchety War Doctor in Only the Monstrous, the highly-anticipated audio drama from Big Finish. Let’s be honest. From the moment Doctor Who went back on air and revealed that (um… 11-year old spoilers?) the Time Lords and Daleks were wiped out of existence due to a massive and destructive Time War, we all wanted to see what that war was all about. It doesn’t help that throughout the course of Russell T. Davies’ tenure as showrunner, he teased us with things such as the Skaro Degradations, the Nightmare Child, the Army of Meanwhiles and Neverweres led by the Could’ve Been King, and the Horde of Travesties. RTD had a wonderful gift for pathos; you really couldn’t blame the fandom for wanting – nay, demanding – to see those horrors realized on the screen. As the series progressed, it became increasingly clear that RTD was not interested in exploring this era. And I don’t blame him. How are you going to even start to depict the horrors of the Time War, doing justice to the epic scale in which it was described, on a TV budget? How do you even start showing two incredibly powerful races trying to destroy each other with doomsday weapons and time travel? You simply can’t. You’ll end up with the incredibly underwhelming Battle of Arcadia in The Day of the Doctor. However, we might be able to pull this off on audio. Ever since Big Finish announced that John Hurt will be starring in a new audio drama featuring the War Doctor, I was massively excited. The War Doctor is a fascinating character, and stories set in the Time War – that era in the Doctor’s life that was off-limits for a decade – will finally be explored. Only the Monstrous opens with the Daleks amassing their time fleet at Omega One for a final assault on Gallifrey. The Doctor attacks the fleet and is presumed dead. However, he ends up, massively injured, on Keska, a planet miracolously untouched by the Time War. There he is helped in his recovery by a young woman named Rejoice. He then learns that the Keskans are hiding from the Taalyens, whom they have been engaged in a war for centuries. After being collected by the Time Lord Cardinal Ollistra, he is sent behind enemy lines to rescue Seratrix, a high-ranking Time Lord who was captured by the Daleks. He finds that the Taalyens and the Daleks have created an alliance and have captured Keska, and is creating a master plan to destroy Gallifrey. What struck me about John Hurt’s War Doctor is that even though he believes that he has committed enough atrocities for him to disown the name Doctor , he still is very much Doctor-like, albeit very damaged. The War Doctor is very much weary of fighting an endless war. He has a long way to go before he can say “No More,” but he is clearly traumatized from the horrors that he has seen. His sleep is constantly interrupted by nightmares, and he closes himself off from anyone who tries to connect; he is most especially rude to the caring Rejoice. I would have loved to see a younger and ruthless War Doctor, one without his moral compass holding him back. But then this is Doctor Who – Big Finish Doctor Who, specifically – and it wouldn’t be proper without a moral conundrum for the Doctor – sorry, War Doctor – to get through. This story’s moral dilema is brought to us by Seratrix, the Time Lord who was supposedly kidnapped by the Daleks, who actually went to the enemy on his own free will to negotiate a peace treaty. The Doctor knows it is a hopeless task – the Daleks, after all, are genetically engineered to want nothing more than the destruction of all the races in the universe, and the very idea of a peace treaty will likely fly over their heads. Despite the Doctor’s multiple warnings that the Daleks will betray him, Seratrix continues to hope that the Daleks stay true to their word. He, of course, learns the hard way, and gets exterminated. Sadly, the only way to end the Daleks’ plan, is to blow up a drill heading to the center of Keska. A drill containing some of the planet’s most brilliant scientists and engineers. The said explosion sets off a massive wave of earthquakes and volcanic explosions, resulting in the deaths of countless of Keskans. The Doctor laments at how different the situation is. Before the war, he would be like Seratrix, totally believing that peace with Daleks would be possible. He once did, of course, his fourth incarnation did not light up the fuse that could have wiped out the first batch of Daleks. And a life-and-death situation with the Keskan scientists in the drill would have something any other incarnation of the Doctor would thrive in – he would have been able to find a way to stop the drill, save the scientists, and prevent the wave of massive earthquakes and the deaths of thousands. The first War Doctor audio story lived up to my expectations. This has hallmarks of a Big Finish production all over, but at the same time showing the bleakness of the Time War, one that has changed how the Doctor views the universe considerably. I cannot wait for the next installment in The War Doctor series, and I recommend listening to this audio drama. Because of Only the Monstrous, I will catch up on the rest of the Eighth Doctor Dark Eyes saga and the new River Song series. Will be reviewing mostly Big Finish audios right now, since, well, there won’t be Doctor Who on TV this year. Only The Monstrous was written and directed by Nicholas Briggs. It stars John Hurt (The War Doctor), Jacqueline Pearce (Cardinal Ollistra), Lucy Briggs-Owen (The Nursemaid), Carolyn Seymour (The Slave). Beth Chalmers (Veklin), Alex Wyndham (Seratrix), Kieran Hodgson (Bennus), Barnaby Edwards (Arverton), Mark McDonnell (Traanus), John Banks (Garv), and Nicholas Briggs as The Daleks. 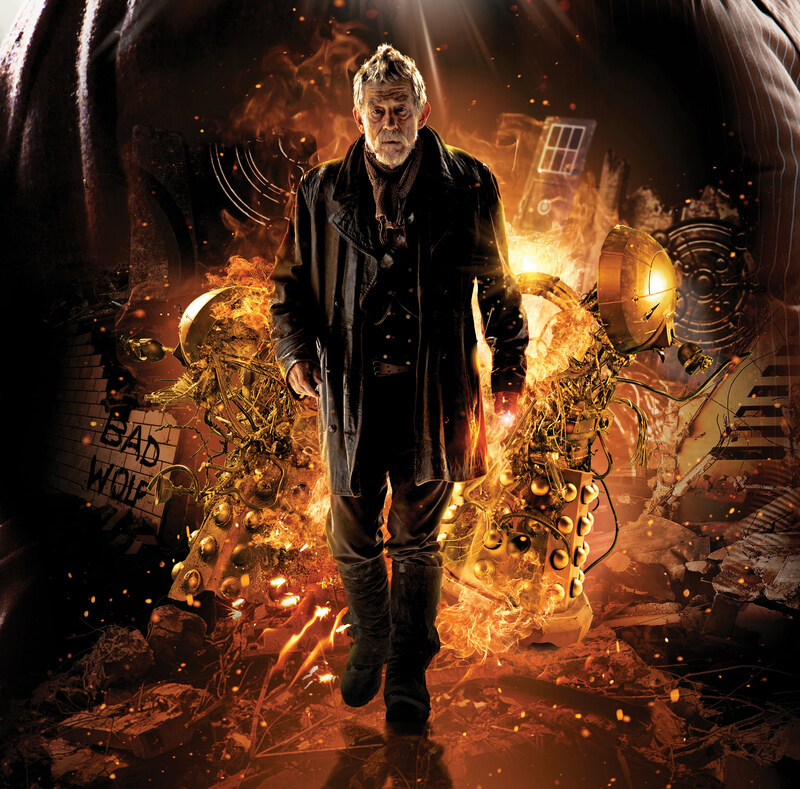 Get Doctor Who – The War Doctor: Only The Monstrous here. You and I don’t agree on a lot about Doctor Who, but I’m with you on the way they showed the Time War. I was so glad that Davies never made the move to tell the story and only mentioned pieces in passing. It lent great big drops of atmosphere and mythos and didn’t really need explaining because your head filled in the pieces. I thought that that was one of Moffat’s big mistakes on his run. The fact that it was left to the imagination for the first five years of the rebooted series meant that it was as big as you wanted it to be. When they put it on screen, it killed all the interest I had in the period. Ditto with the River Song storyline (though the last episode was a nice wrap up).